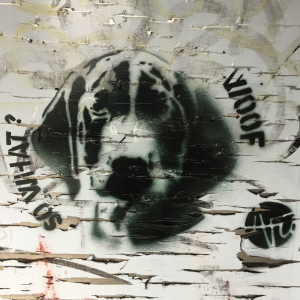 PLIPP : What is your perception of the current stencil art scene ? NICE ART : There are some artists who keep reinventing themselves and there are new ones coming onto the scene. 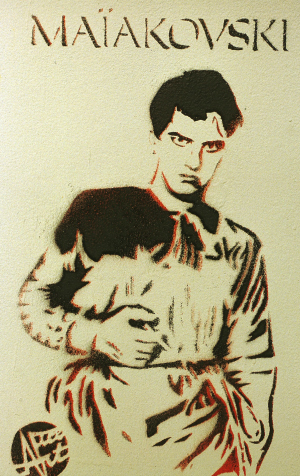 But I think that, as a whole, stenciling is not really growing, compared to graffiti. I think young people prefer doing graffiti. There must be a hundred graffiti artists to one stencilists right now. There are plenty of artists using stencils, for sure, but I don’t see an explosion in stenciling practice. Having said that, I don’t know everything … I would just say that for some graffiti artists, stenciling is not considered street art because, and it is true, the grid is prepared at home. And then, stencilists don’t really take over walls. They tend to just do a small thing … They put it on and that is all. There are very few big compositions even though you can combine different designs in stencils. It is rather easy to make large compositions with stencils but you need to take a bit of time and think. There aren’t that many stencilists working in that way. Most are just happy to limit themselves to doing their small thing and that is all. We, as NICE ART, we don’t go into making things complex either. In a way, we were not trained like that. When we put a stencil on a wall, it is done in five seconds ! We prefer to put more on, to do a wall in a kind of adrenalin rush, putting on as many small stencils as we can and then stopping to see what effect it has. Maybe we paint like that because we are old school ? PLIPP : Is stenciling no longer relevant ? NICE ART : Let us say that it is a bit paradoxical. Stenciling is a very easy technique to paint quickly on a city wall but I think that graffiti artists prefer to spend the whole day doing their thing in a more cool way. Their results are often extraordinary but I always feel that they sometimes don’t know when to stop. And then, there is a greater risk for them that they go wrong ! With stencils, you can get a good result very quickly with a good chance of the result looking good. My feeling is that it is a technique that is possibly not used enough in cities to express ourselves. Stenciling is done quickly in the street. 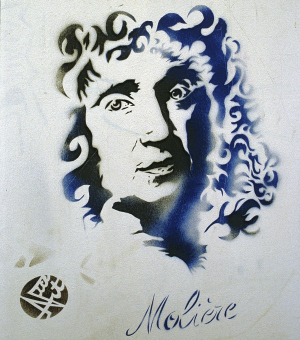 For me, in the beginning, as I remember it, stenciling was mainly used for political purposes because it was much cheaper than printing posters. 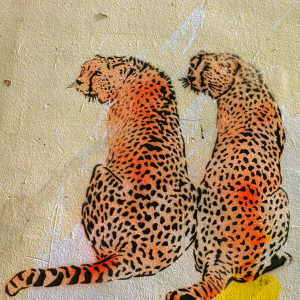 You would make a stencil, you would paint on a wall … No need to make posters. So long as there are still things to say in the street and there is a need to be quick and spontaneous, I think that we will continue to use and see stencils ! PLIPP : Is the location important for you ? NICE ART : The work must be integrated … The work must be able to evolve. It is a bit like the sides of those houses being demolished where you can see traces of the inside, like old wallpaper, slices of life. 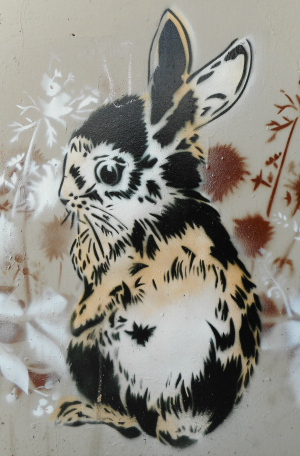 With stencils, each time is an experiment and time puts the finishing touches to the work. Stenciling also means being able to use the environment. Leaving spaces, leaving empty spaces around … A bit like silences in music. Stencilists will use the environment as the background, unlike graffiti artists who want to fill in everything, cover everything. So, yes, there is always a bit of search … It is like a game, in that way. But not a complicated one either. We shouldn’t think too much about it because that is another point of stenciling … It must be quick and instinctive. I remember a story from a few years ago, about stencil artist MIMI THE CLOWN who had done his character with a red nose and an axe just opposite the window of a elderly person living there. That person was totally traumatized by the painting … So we gave ourselves the task of softening things up and quickly painted some swallows around the character. The aggressiveness of the original was quite reduced in some way, softened by our addition. We didn’t spoil the work. On the contrary, I think we helped to preserve it for longer. So, yes, the location is important. PLIPP : Do you have a political approach to stencils ? NICE ART : In the message itself, no, even though we are sometimes committed to a cause. We can be committed to some issues in our society or to our community. Most of the time, we will rather highlight people. ARIANE, for example, often does portraits of people like PABLO NERUDA and SALVADOR ALLENDE. 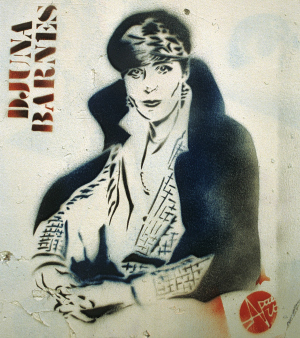 On 1 May, for sure, she is going to do a stencil of ALLENDE somewhere in town. It is commitments like that, by the set of characters that are chosen by us as stencil material, that we want to express on walls. 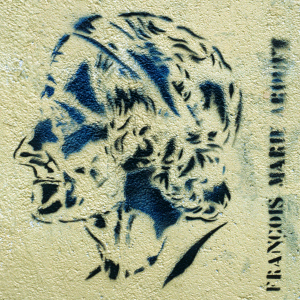 We also do literary figures that people no longer know, like RIMBAUD, FLAUBERT or MAIAKOVSKI. We will do someone we like, someone from the cinema or a writer, to give ourselves some fun. 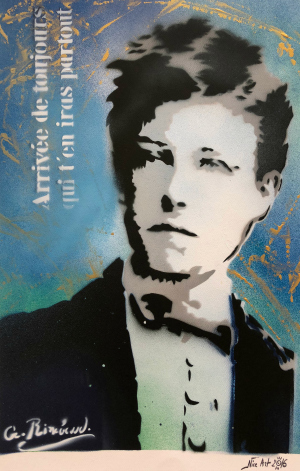 We did a project with portraits of RIMBAUD on papers or cardboards a couple of years ago and we gave the stencils to a number of people who went all over the world and had photos taken of themselves posing with these portraits of RIMBAUD. Everyone took ownership of their stencil and afterwards we received lots of photos back to us. Thus, our artistic commitment is clearly more as a citizen than it is political ! NICE ART : Our message is that the public space must be returned to the people and not to commercial advertising and political campaigns. We need space for people to express themselves as there are some people who have a real richness within them. Giving them space enables them to take ownership of at least part of their city. Young people especially must be able to express themselves. It calms social tensions ! Credits : Photos used in illustrations 1 FRANCOIS-MARIE AROUET dit VOLTAIRE, 3 DJUNA BARNES, 4 JAGUARS, 6 JEAN-BAPTISTE POQUELIN dit MOLIERE and 8 VLADIMIR MAIAKOVSKI (from the top down) have been provided by NICE ART. 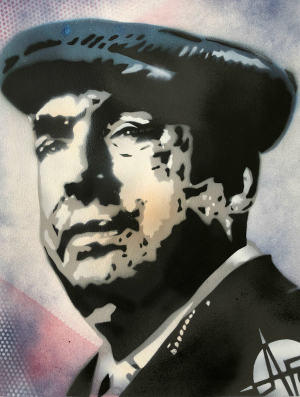 Photos used in illustrations 2 PABLO NERUDA, 5 DOG, 7 ARTHUR RIMBAUD and 9 RABBIT have been taken by the author. Note : Thanks to PEDRO ! at ATELIER DORIAN GRAY (Friches et nous, la Paix » for providing us the opportunity of this interview. Note : Additional excerpts from the interview of NICE ART will be published in a new book due to be released by BRIGADIER PLIPP end of 2019.